ISLAMABAD, Jun 3 (APP): Lok Virsa’s series, Craft of the Month, is aimed at raising awareness among the youth about culture and providing them with a platform for interacting with artisans and encouraging them to learn different arts. A five-day Craft of the Month series, “Mirror work: Engagement with Artisans” continue here at Lok Virsa Heritage Museum, Garden Avenue, Shakarparian. Some 50 children from various schools working under the Federal Directorate of Education (FDE) participating in the workshop. Master artisans in mirror work imparting training to children (age group: 7 to 14 years) in their respective field. 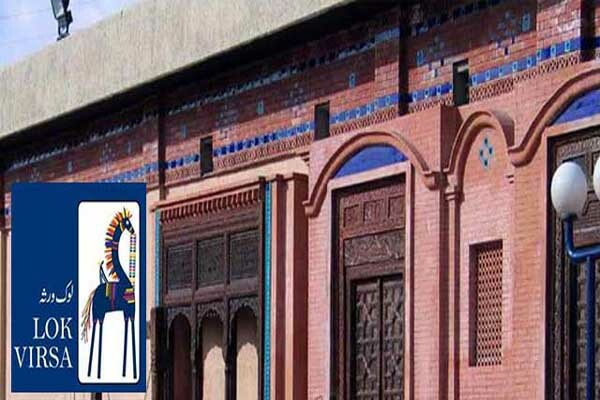 An official of Lok Virsa said that the programme is meant to inspire creativity in children and will help them recognize the hard work that goes into making beautiful pieces of art.